Exciting times for Emmanuel Nwamadi , his appearance on BBC 1 show THE VOICE , Has started a media frenzy , now a proud member of #teamricky , were confident Emmanuel will continue to impress THE VOICE judges and the public . 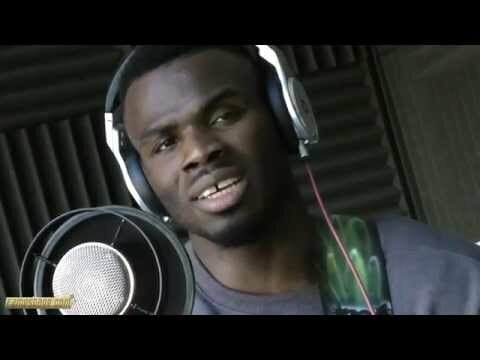 He’s a talented and versatile singer from North London , Emmanuel’s passion is music , he was discovered in 2014 ,after sharing one of his videos online . His voice has been likened to the deep soul of Barry White and effortless smoothness of Seal . Emmanuel really does have it all , his ace in the pack are his incredible high notes ,you don’t expect someone with his perfect powerful low tone to hits such dizzy heights . Please watch and support Emmanuel as he performs for the judges on THE VOICE TV SHOW . So far his career is new , but were very sure you will be seeing and hearing a lot more of this very talented singer , The Voice TV show has a huge audience , Emmanuel will be seen by many households across the UK , we truly hope you like what you hear and see. Emmanuel has broken the moulds in so many way , his music influences range from Metallica , to AC DC , he loves heavy metal, a talented electric and acoustic guitarist , and one of the most incredible male soul voices around , He has a lot of exciting things going on in 2015 and will enjoy sharing them with you, please watch THE VOICE and support Emmanuel … in the mean time he will posting lots of new cover and original versions of his favourite songs.